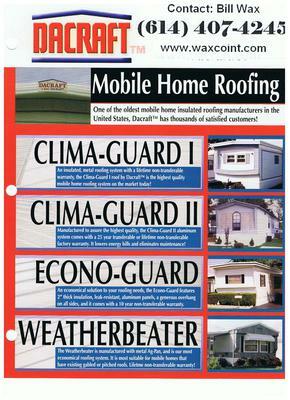 DaCraft Manufacturing and its subsidiaries have been in business for over 60 years. 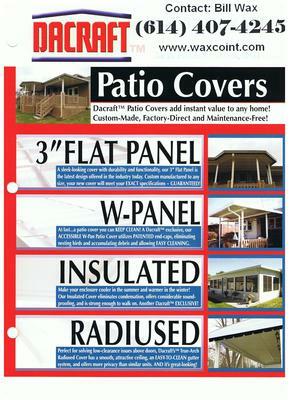 We are the originator of the Insulated Lifetime Metal Roofing System, and also manufacture and sale Patio Covers, Car Ports, Window & Door Awnings,Siding, Windows, and Doors. Licensed, Bonded, and Insured, with an A+ rating with the Better Business Bureau. 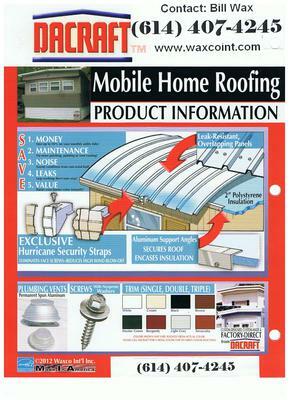 I am a distributor of all Mobile Home Parts and Materials as well. 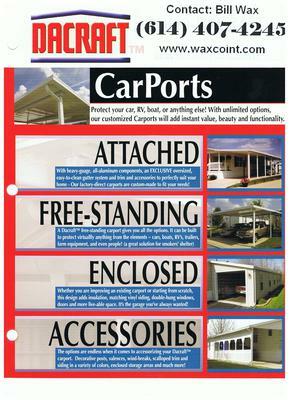 From hard to find Bathtub sizes, window parts, complete heating and cooling systems and more. "You're satisfaction insures our continued success."